During an interlude in C&OHS Conference activities on Saturday, I walked the short distance over to Heritage Square. 1. This is the west end of the former B&O depot. The track location would have been to the right of the awning. Heritage Station ex-B&O. Huntington. 2. 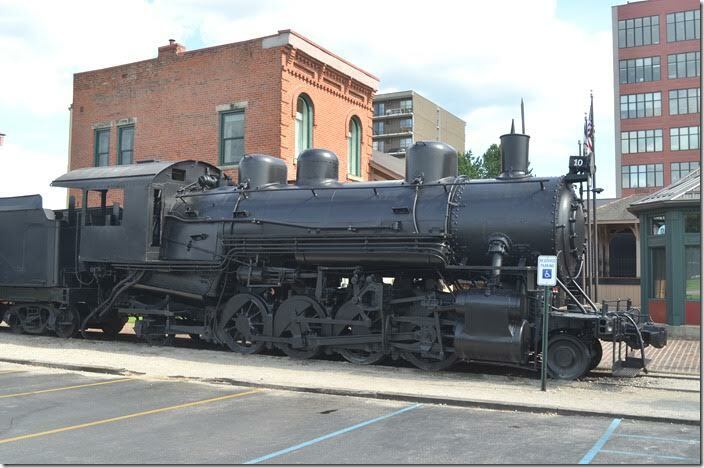 Elk River Coal & Lumber 2-8-2 no. 10 is the centerpiece. Huntington. 3. 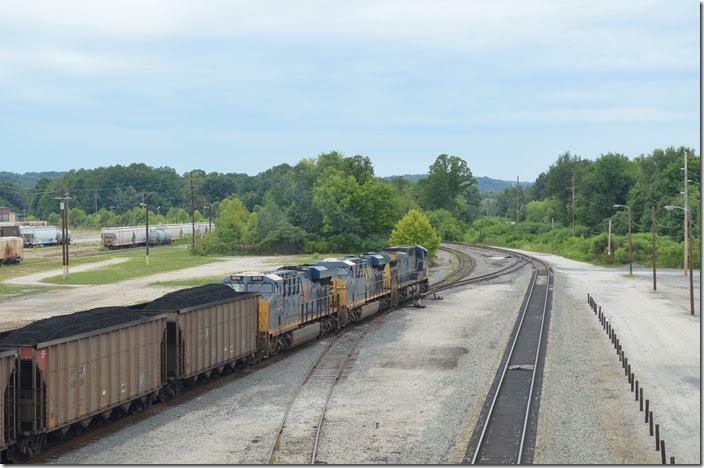 Elk River Coal & Lumber no. 10. View 2. Huntington. 4. 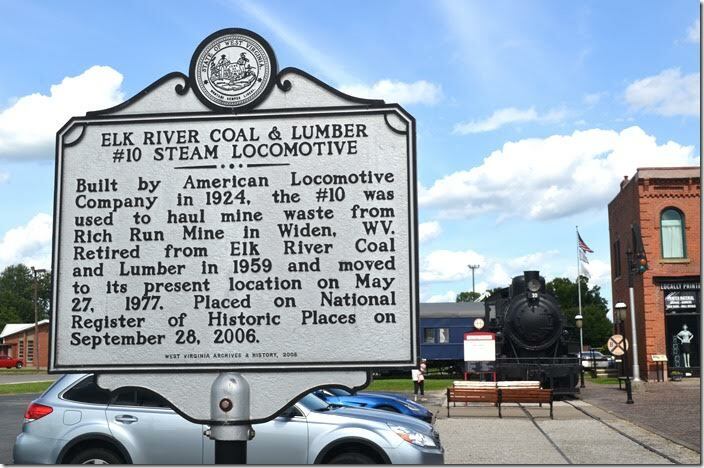 Elk River Coal & Lumber marker. Huntington. 5. On Sunday morning we went over to Russell. Most of the engines you see here are stored. 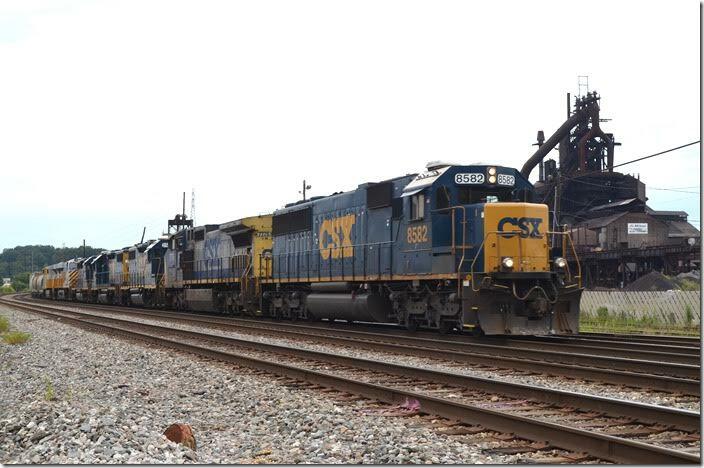 CSX 2308. Russell. 6. 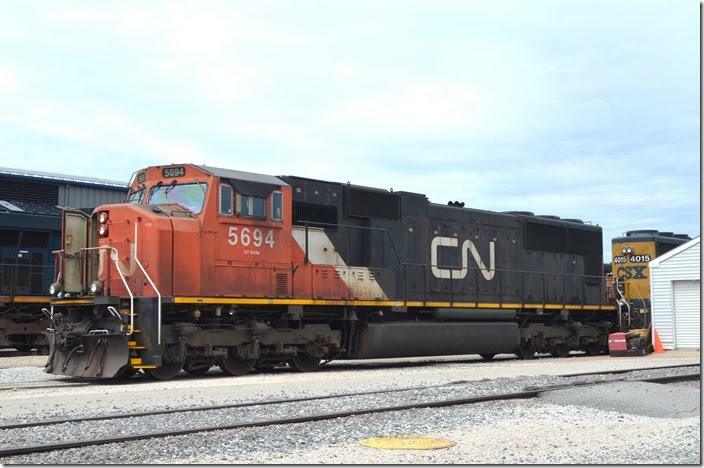 Canadian National SD75I 5694 was in the engine terminal. Russell. 7. 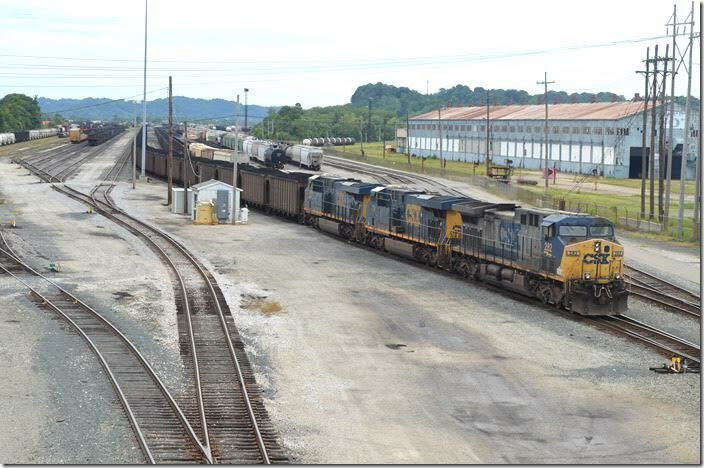 CSX 6468 idled on the Coal Hump. Russell. 8. 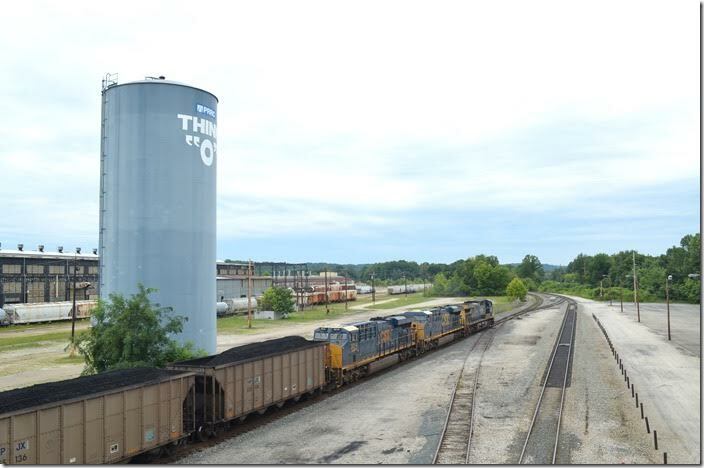 CSX 282-739-3014 on V547-30 is ready to depart west out of the former westbound coal classification yard. Russell. 9. That’s part of the former CSX Raceland Car Shop on the right. CSX 282-739-3014. View 2. Russell. 10. 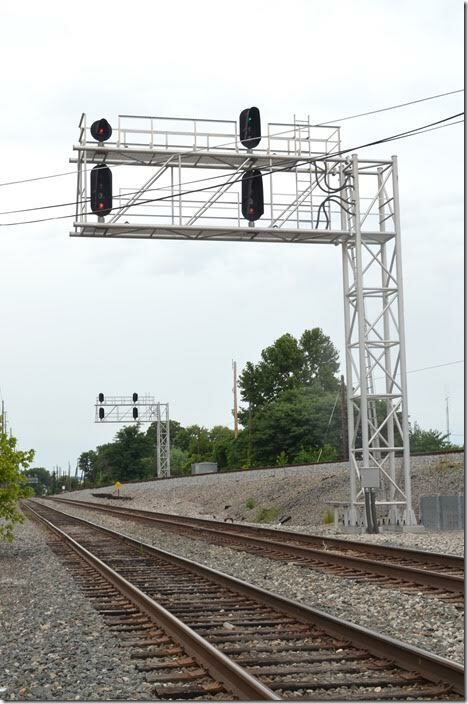 Above the “Think ‘0’” you can see that Progress Rail now runs the facility. I don’t know if it is active or not. 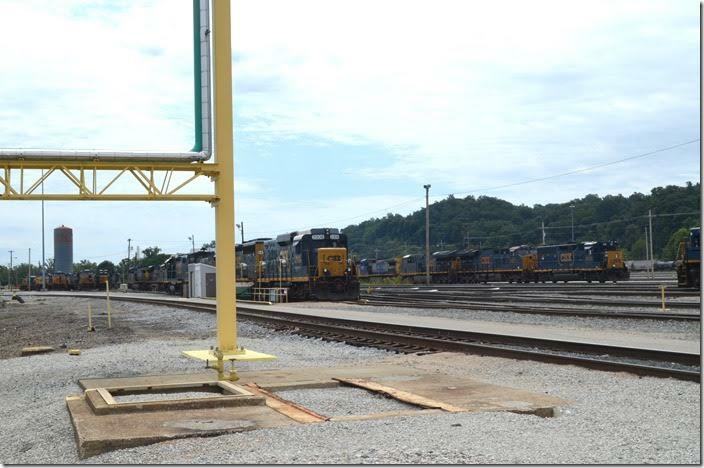 CSX 282-739-3014. View 3. Russell. 11. 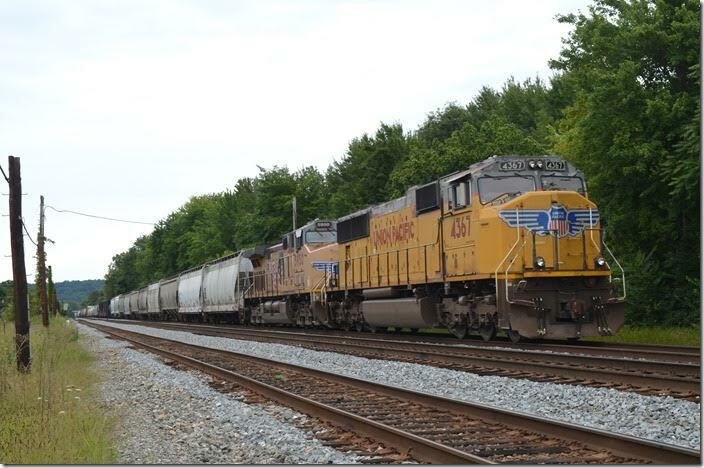 V547-30 heads toward RJ Cabin where it will enter the main line. CSX 282-739-3014. View 4. Russell. 12. 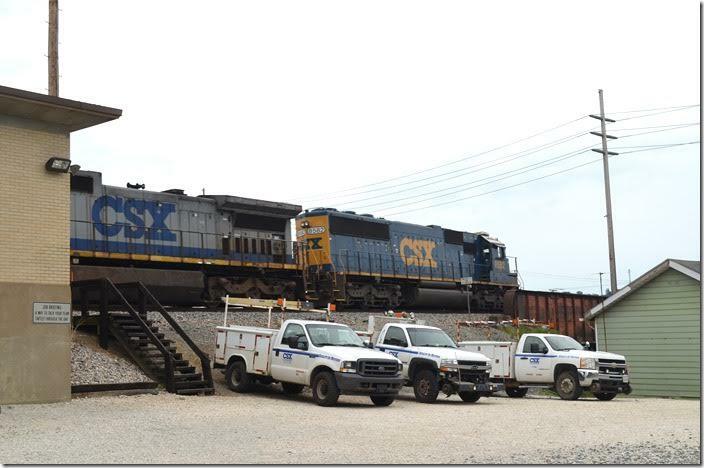 Even though hundreds of engines are stored, CSX is leasing new GEs from CitiRail. 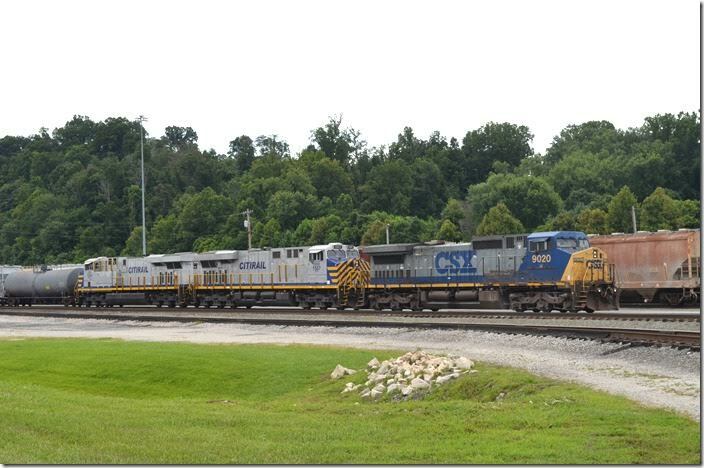 CSX 9020-CREX 1507-1514. Russell. 13. CREX ES44AC 1507. 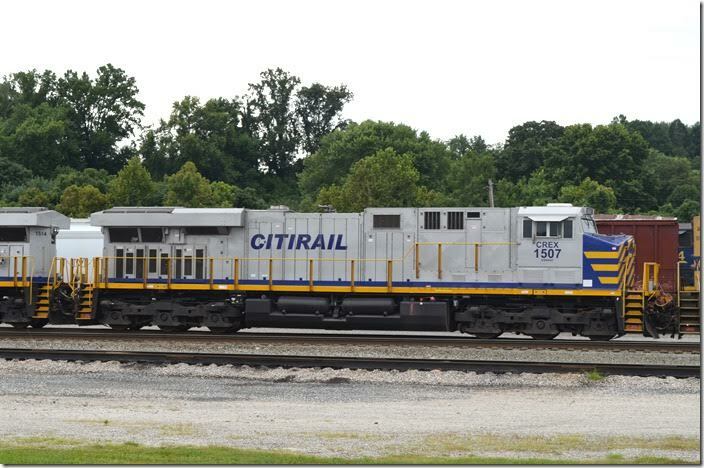 I saw these on the BNSF in Alabama a couple of years ago and have seen them recently on Big Sandy freights. View 2. Russell. 14. Even cutting edge stuff like this 3GS21B-DE “Genset” hasn’t been spared the storage line! 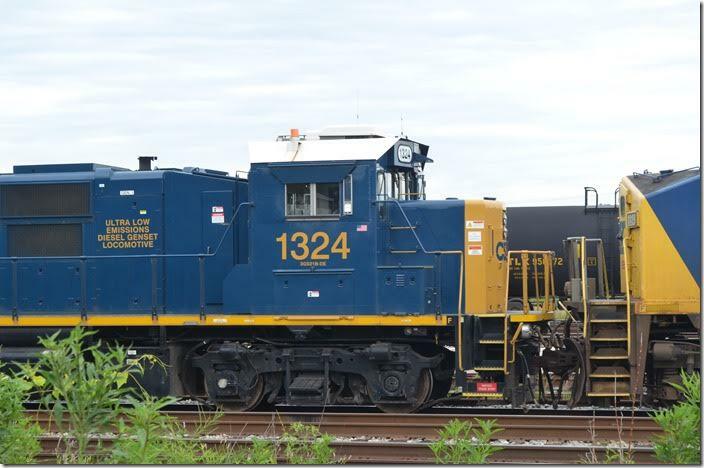 CSX 3GS21B-DE 1324. Russell. 15. 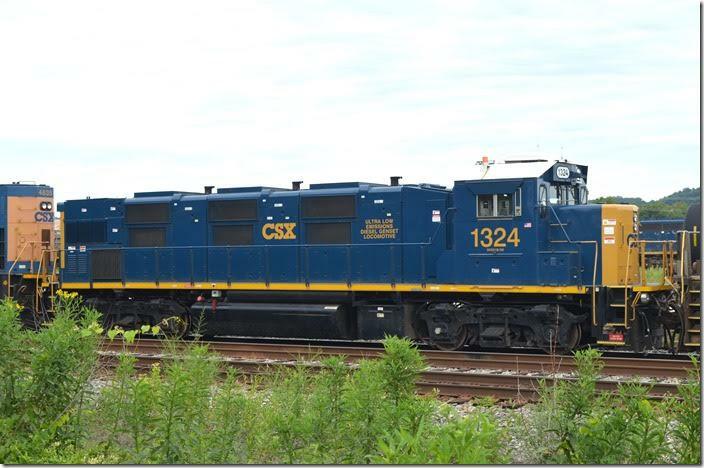 CSX 3GS21B-DE 1324. View 2. Russell. 16. UP 4367-5950 with an eastbound freight is parked west of RJ Cabin on Track 1 with no crew. 17. CSX SD50 8582-7778-2508-2317-6158-CREX 1518-1522 with 78 cars of eastbound Q302 roll past AK Steel’s idle Amanda blast furnace. 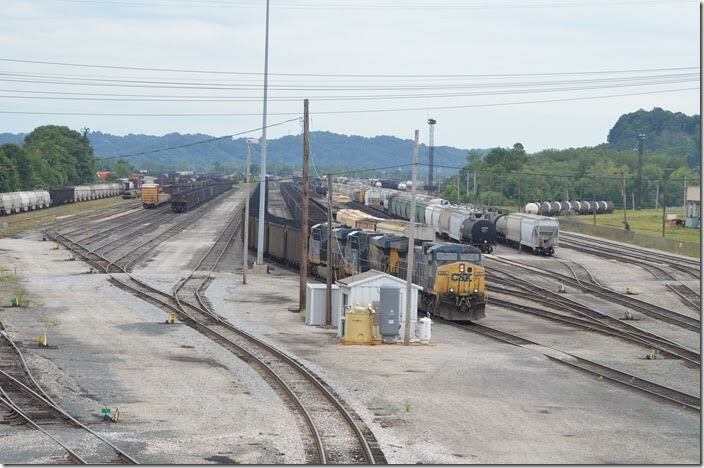 CSX lost ore, coke, limestone and slab business; Kentucky Power lost huge revenue. Hopefully it will resume operation, but there are no guarantees. Bellefonte. 18. 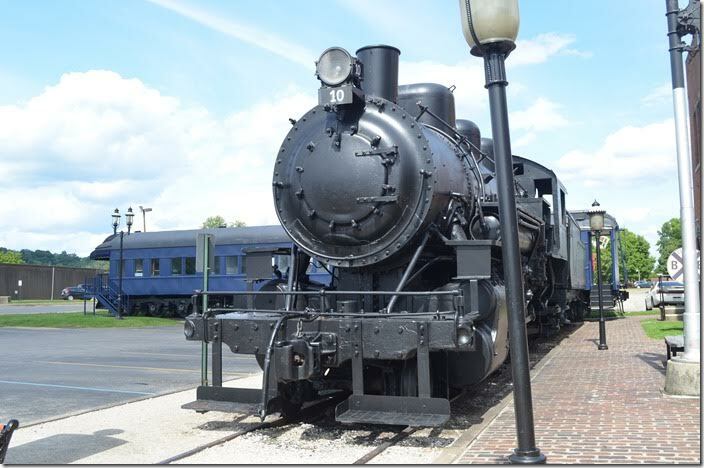 Q302 has a clear signal on Track 1 at NC Cabin. Track 3 in the foreground ends here. CREX 1518-1522-6158-2317. 19. Q302 climbs the approach to the Big Sandy River bridge at Big Sandy Junction. CSX 8582-7778-2508-2317. 20. 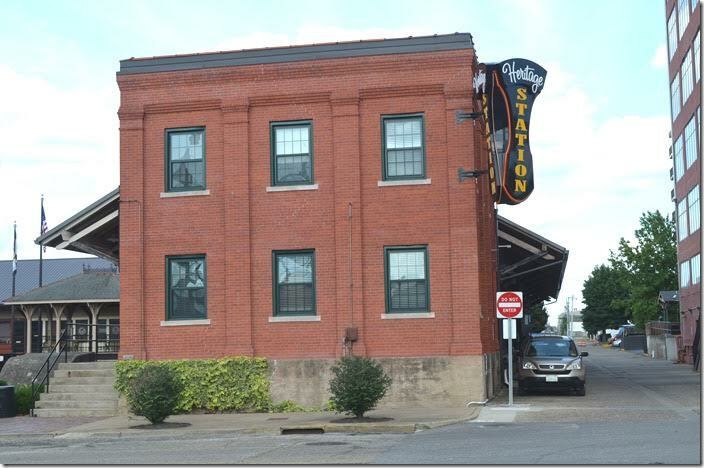 CSX still uses the former cabin for offices. 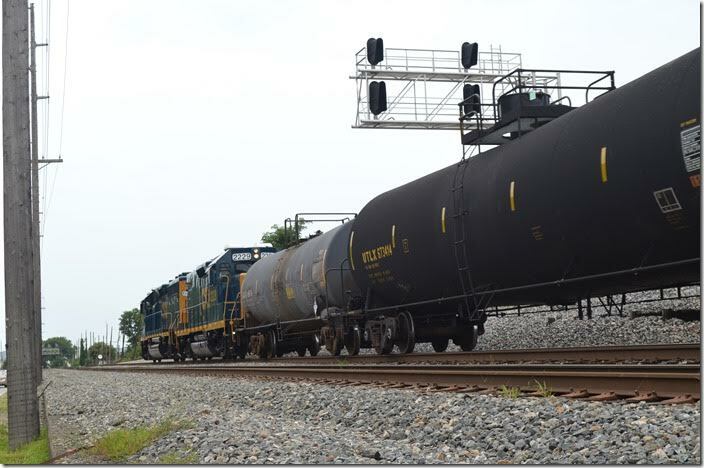 CSX 8582. Big Sandy Jct. 21. 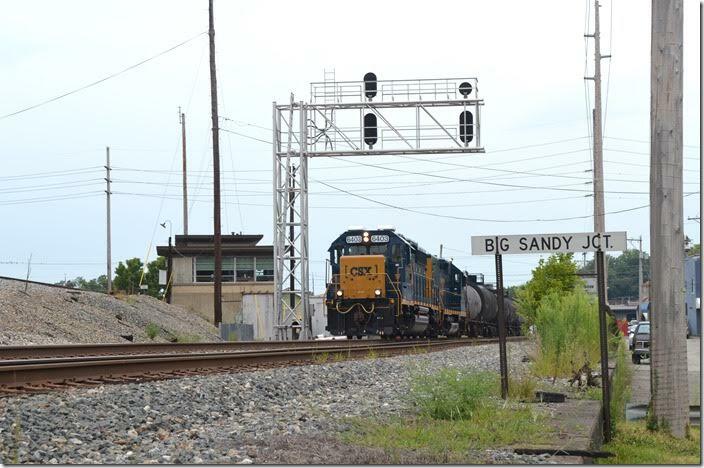 Clear signal on Big Sandy for a train on Track 1. 22. 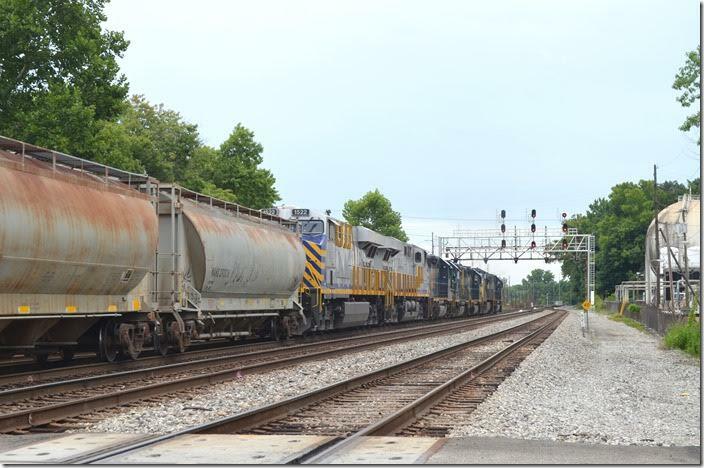 Local H904-06 comes west behind CSX 6403-2229 with 2 loads and 18 empties. 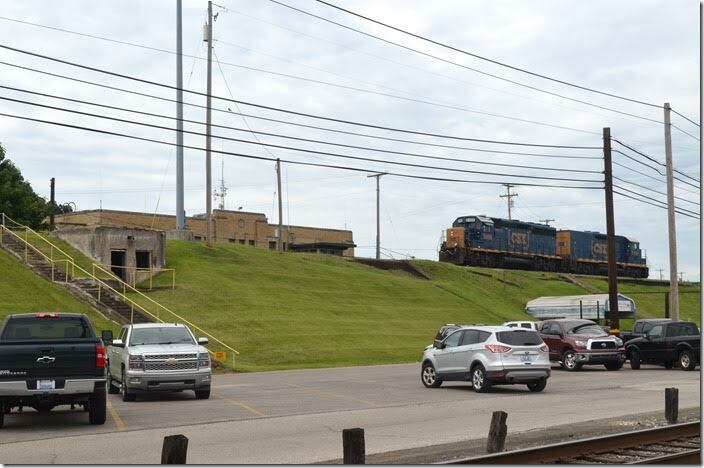 These are cars from Marathon Petroleum’s refinery or Calgon Corp. Big Sandy Jct. 23. 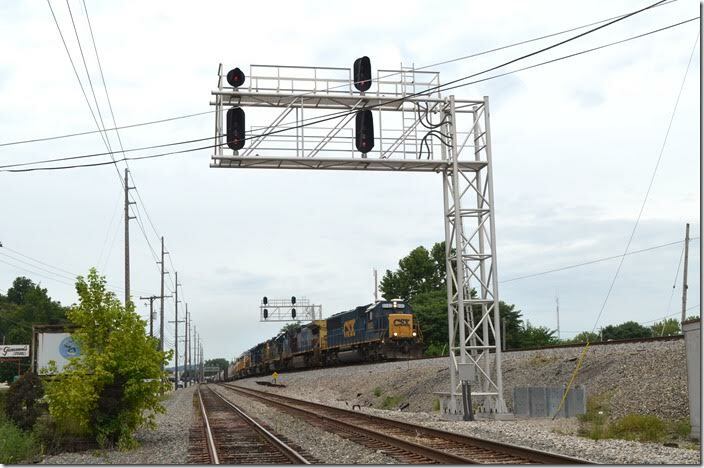 CSX 6403-2209. View 2. Big Sandy Jct. It was time to head home after another enjoyable convention...opps, Conference!